Wood fences are a classic fencing solution with a beautiful traditional appeal for homes and businesses alike. Eastern Shore Porch & Patio offers full installation services for or vinyl fence, aluminum fence, chain link fence, and wood fence customers. All of our installation customers receive the same fantastic customer service and high-quality work that make Eastern Shore Porch & Patio different from the rest. It is easy to be tempted by the thought of doing-it-yourself, but a one-man crew putting up a residential wood fence means nothing but trouble. A professional fence installation provides you with skilled labor and professional-grade tools that most homeowners do not have. Even pre-made fence kits can be a lot more work and labor than do-it-yourself homeowners expect. The Eastern Shore Porch & Patio wood fence installation team is able to rapidly adapt to challenges, take additional steps to prevent future problems, and ensure that your wood fence is installed to the best of our ability. Keep in mind that the less experience you have with fence installation, the longer every step of the installation process will take, from digging to making sure that posts are even. 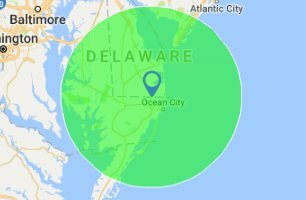 Eastern Shore Porch & Patio is proud to be the premier vinyl fence sales, vinyl fence installation, and wood fence installation company for the Bethany Beach, Fenwick, Lewes, and Delmarva areas.